At Smile Innovations, our goal is to keep all of our patients both healthy and happy. We believe that our patients are the best judges of the quality and service of our dentist in Novi MI. We truly appreciate all of your feedback and strive to learn and improve every single day. Hoping to hear from some of the patients? 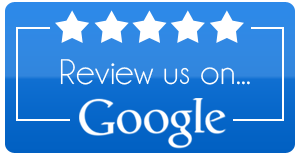 Please feel free to browse below, Yelp, Facebook, Google and Yahoo for various patient reviews. Want to share your experience during a recent visit? We would love to hear your feedback! If you have any questions or would like to speak with a member of our team, please call Smile Innovations today at (248) 624-2701. Your call is important to us! My Implant went perfect, Dr. T did the surgery and put implant crown in. It was a painless experience and would recommend him to anyone needing a implant crown. My tooth broke over a holiday weekend and Dr. T accommodated me and fixed it so that I didn't miss anything. I had the best experience with my Cerec crown, Dr. T did the procedure so that my crown was done in one visit and it feels great. The staff at Smile Innovations are wonderful, they really know how to make you comfortable and are always ready to go out of their way to make getting dental work easy!